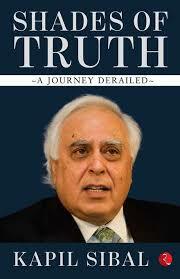 Congress MP Kapil Sibal will be releasing a new book titled Shades of Truth: A Journey Derailed, arguing that the Prime Minister Narendra Modi-led NDA government "revels in the past" and debunking the claim of "Acche Din" that the BJP made in the run up to 2014 general elections. Fliqi added a post in Current Affairs article 11 months ago. Former Prime Minister Manmohan Singh, released a book by former Planning Commission and Finance Commission member C H Hanumantha Rao. 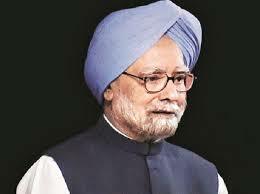 While launching Rao’s book, ‘My Journey from Marxism-Leninism to Nehruvian Socialism’, Singh called Rao ‘a most creative thinker, social activist, and distinguished economist. President Ram Nath Kovind unveiled a book on heartfulness techniques and principles titled 'The Heartfulness Way'. The book is authored by Kamlesh Patel, widely known as Daaji. The book promises to be a treat for those who are curious about what is heartfulness and how it can change our day-to-day lives. 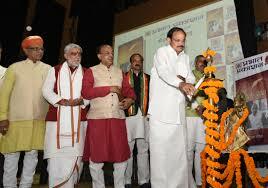 It was launched by Commerce and Industries Minister Suresh Prabhu. On 22nd December 2017, “The Way I See It” a book containing writing by late journalist Gauri Lankesh was launched at the Mumbai Press Club, in Mumbai. This book consisting of six sections, it consists of early reportage of Gauri Lankesh in Various publications and her articles in Kannada language, edited by Chandan Gowda, Writer and sociologist.